Some people download a million apps to their Android phone, one for each and every activity. Coincidentally, these are also the people who ask their brother why their phone, which was lightning fast when they got it, is suddenly struggling to open the homescreen under the load of three different QR code readers. (Not that I'm pointing fingers. Bekie.) For those who prefer to keep fewer apps installed, the latest PayPal update adds the ability to scan and retrieve gift cards. 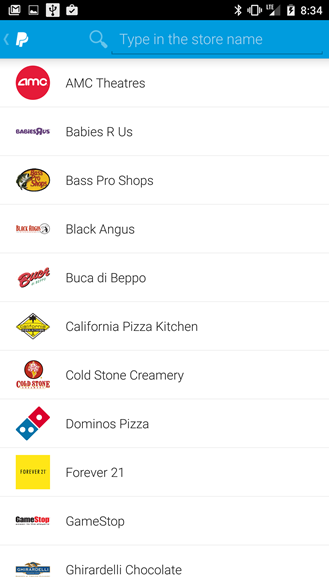 The new feature is an extension of "PayPal Wallet," and it works in pretty much the same way. Open the wallet, tap the "+" button in the upper right corner, and select "Gift Card." Unfortunately only 31 stores are supported, but some of the big ones include Toys R Us, Staples, Lowe's, and Gamestop. You can search with the field at the top of the window if you don't feel like scrolling. Once a retailer is selected, just scan in the barcode with your phone's camera and PayPal will save the card to your account. Open the wallet and select the relevant card so you can show it to a cashier, and you won't need to carry around an extra sliver of plastic in your real wallet. The update text in the Play Store also says that the PayPal app now supports Arabic and Hebrew languages, specifically for users in Yemen, Tunisia, Egypt, the United Arab Emirates, Saudi Arabia, Kuwait, Qatar, Bahrain, Jordan, Oman, Morocco, and Algeria. 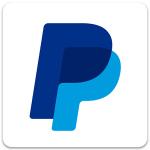 Middle Eastern readers, enjoy the easier access for your PayPal account.